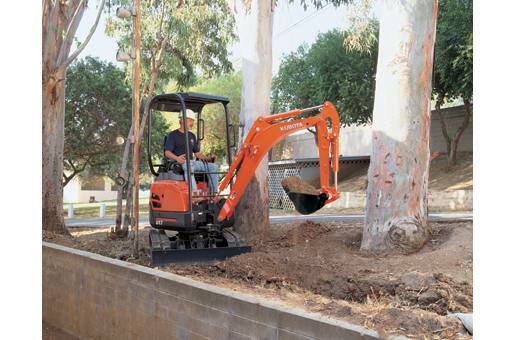 Two Speed Travel: All Kubota excavators have a two speed drive that allows for efficient machine maneuverability and backfill operations. 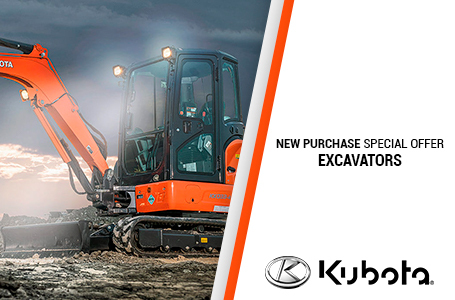 Clean Running Kubota Tier 4 Engine: Kubota excavators are all powered by Kubota Tier 4 emission engines. 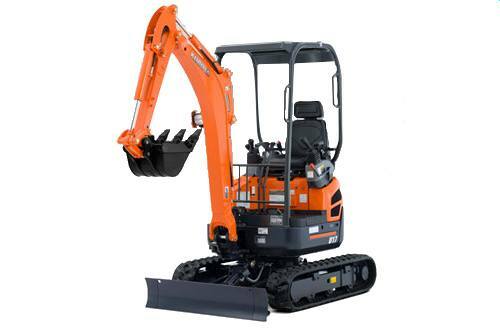 The modern engine design maximizes digging and lifting performance, delivers minimized noise and vibration and meets the latest engine emission regulation. Comfort & Convenience: A spacious operator station designed for greater comfort, with a fully flat floor for more legroom; Digital panel with easy access, simple settings and easy-to-read indicators and alerts; Easy cab entry and exit; Easy-open front slide window; Wrist rest; Cup holder; Optional cab. 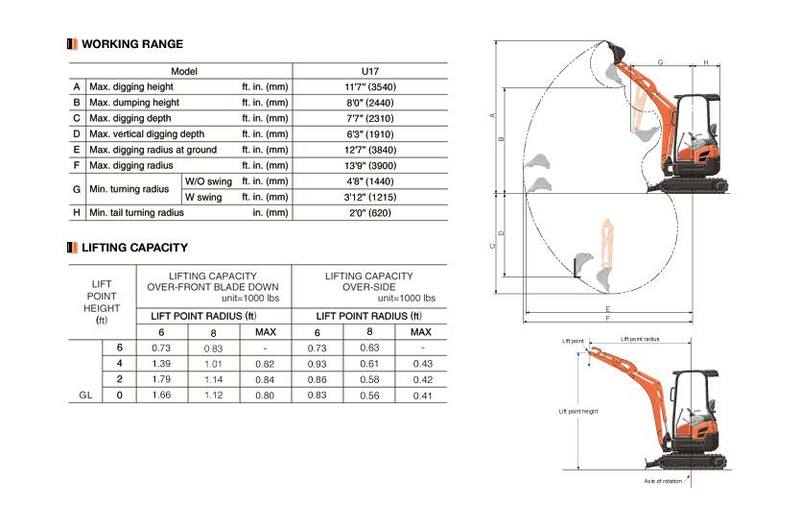 Changeable Control Pattern: Convenient Two-pattern Selection System (TPSS) allows you to change between ISO and SAE operating patterns with a quick flip of the TPSS switch - without tools or leaving your seat. Auxiliary: Proportional flow control of auxiliary circuit (AUX1) and maximum oil flow setting - you can operate a larger variety of auxiliary attachments than ever before; Proportional AUX flow switch - a convenient bi-directional switch enables easy operation of hydraulic thumbs and other hydraulic attachments such as augers and breakers. Left: 65 deg. ; Right: 58 deg.